Proper policies, communications and investigations are key to dealing with workplace violence. 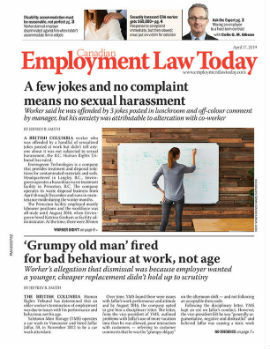 In a case that reads like musical chairs gone wrong, Belyea v Syncrude Canada Ltd., involves a workplace altercation after a senior Syncrude employee found a junior employee sitting in his favorite lunchroom chair. After conducting an in-depth investigation, Syncrude fired the senior worker for cause. The worker then sued for wrongful dismissal. It goes without saying that workplace violence is a serious concern to both employees and employers alike. Employees reasonably expect safe workplaces and employers have a concomitant duty to ensure their safety. 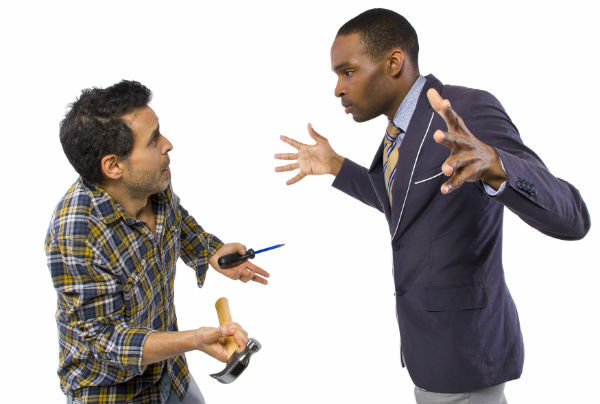 Therefore, it is critical for employers to understand how to minimize workplace violence and how to respond when it arises. Syncrude’s handling of this situation is exemplary and offers key lessons on how to address workplace aggression. Mr. B worked for Syncrude for 10 years as a crane operator. During this time he received positive performance reviews and was a valued employee. He was conscientious, diligent and committed to team goals. In 2010 Mr. B was aggressive to a worker, resulting in a disciplinary corrective action plan and a warning that termination could result if Mr. B failed to improve in this area. A year or so passed without incident. Then in 2012, Mr. B entered the lunchroom where his favorite chair was stationed. Mr. B discovered a junior employee sitting in his chair eating lunch out of a Tupperware container. Mr. B told the employee to “get up.” The employee refused. Mr. B threatened to start a scene. When the employee again refused, Mr. B threw a bike chain and lock that he was carrying at the worker. The chain hit the employee’s hand and broke his lunch container, scattering its contents on the floor. Following the incident Syncrude conducted an investigation. It heard Mr. B’s account, interviewed multiple witnesses, and allowed Mr. B to review and respond to the junior worker’s complaint. The investigators found that Mr. B’s credibility was poor and concluded that he had breached Syncrude’s Treatment of Employees Policy (TOE policy). After the investigation, Syncrude held a termination hearing where Mr. B was again afforded an opportunity to discuss his conduct. He continued to deny his actions and did not accept responsibility for what transpired. At the end of the hearing Syncrude decided to terminate Mr. B for cause for breaching the TOE policy. In a wrongful dismissal suit, the employer bears the burden of proving that dismissal for cause is justified. The test is highly contextual and requires that an employer demonstrate that the nature and extent of the behavior as well as the surrounding circumstances fundamentally undermine the employment relationship. Mr. B failed to accept responsibility or demonstrate any remorse. Together these factors led the court to conclude that Mr. B’s conduct had undermined the employment relationship to the extent that a dismissal for cause was warranted. Draft policies broadly. Draft workplace violence policies so that they apply to all acts of violence, whether threatened, attempted or actual violence. Provide adequate notice. Whether or not the terminated employee knew about the policy was found to be significant. Present the policy to the employee as part of their offer or explicitly reference the policy in an employment agreement, and provide training regarding the policy from time to time. Consider posting notices referencing the policy in visible areas. Be consistent with progressive discipline.Consider implanting a program that institutes progressively more severe consequences for violating the policy. These policies should always reserve a right to terminate the employee immediately where the circumstances require swift action. Conduct a thorough investigation. If an incident of workplace violence arises, interview all parties and witnesses in a timely manner and provide the impugned employee with an adequate opportunity to review and respond to the complaint. Belyea v. Syncrude, 2018 CarswellAlta 319 (Alta Q.B.). Theodore Fong is an associate with Fasken Martineau DuMoulin LLP in Calgary,providing advice on commercial, product liability, employment law, estate planning, and administration matters. He can be reached at (403) 261-5504 or tfong@fasken.com. Claire Himsl is an associated with Fasken Martineau DuMoulin LLPs in Calgary, practicing civil litigation and arbitration for corporate and commercial clients. She can be reached at (587) 233-4114 or chimsl@fasken.com. This article was reprinted with the permission of Fasken. Fasken is one of the world's leading international business law and litigation firms. You can read Fasken's weekly bulletin, "The HR Space" here.